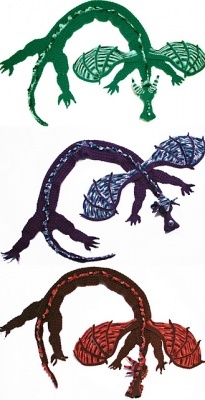 Some of MyntKat's original dragon scarves. Another set of colors in a lovely yarn --- this design really sings to me. 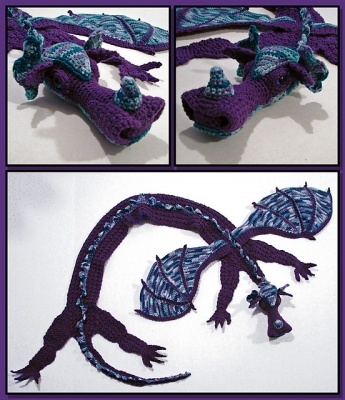 Beautiful and quite unique, this Dragon Scarf by MyntKat is really unique. This is a crochet design and fun to make and to wear. The pattern is not part of this kit and can be gotten via the designer's Ravelry page here. 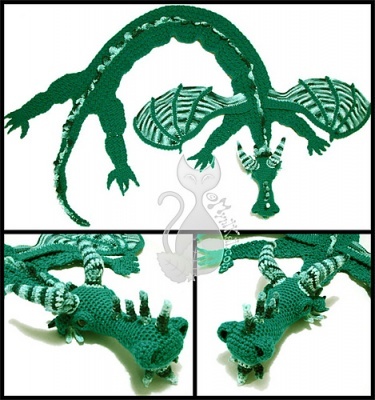 This pattern is one-size (adult, but can be made for smaller sizes by using smaller yarn and hooks) and highly customizable! The pattern comes with 16 pages of written instructions (abbreviated) and over 150 full color photos (separate file for easier printing). 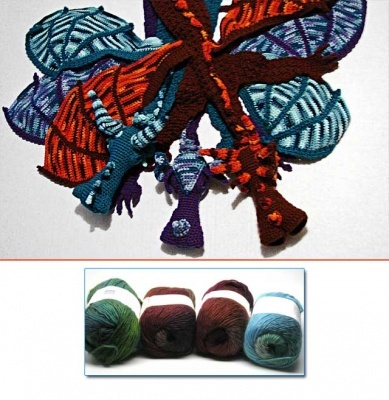 This kit is yarn and yarn alone, enough to make a substantial scarf in this very intriguing pattern! There are so many marvelous combinations of colors that this scarf can be knit in -- we are giving another set of colors on this web page. You can see our original offerings on this page. 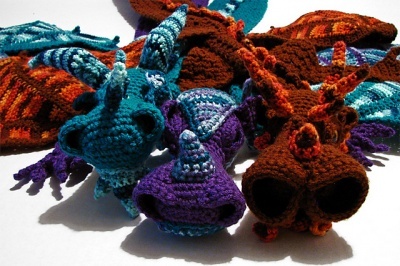 Please note that we are not putting together kits that use the same yarn or colorways that MyntKat used. You can see what we offer in the inset photos on the top picture and again below that. The other photos are being used with her permission and show some of the gorgeous scarves she has made for this design. I decided that this would work best crocheted in a very washable yarn -- while this yarn would keep an adult toasty warm, it can also be machine washed and dried. And as I could see this scarf being dragged into all sorts of games if made for a child one would want it so that that would be absolutely fine. The original scarves used roughly between 750 - 950 yards (686 - 869 m) divided into the two colors, one solid and one variegated. From Universal Yarns comes their Classic Shades, a 70% Acrylic/ 30% Wool blend with 197 yards (180 meters) per 100 gram skein. I quote Universal's website here: Classic Shades is a soft-to-the touch acrylic/wool roving style yarn featuring a stunning selection of colors which shade easily, one to the next. With a sheen similar to silk, finished garments take on a painterly quality perfect for sweaters and winter accessories --- plus, this worsted weight yarn is machine washable! We brought in a few colorways of Classic Shades that we feel look very good together. Bear in mind that both are colorways with long color runs, not solids. What we selected are what I'd call tonals, all of the colors in each skein being related closely one to the next. And set up two kits, both with the same main color and your choice of the contrast colorway. 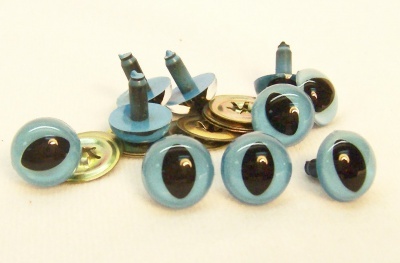 The main color in both kits will be what Universal named Sapphires, though to be honest, I cannot figure out why. The colorway is mostly rich coppers, blues, and amethyst with some deeper purple and some lighter tones as well. It is really rich and delicious. 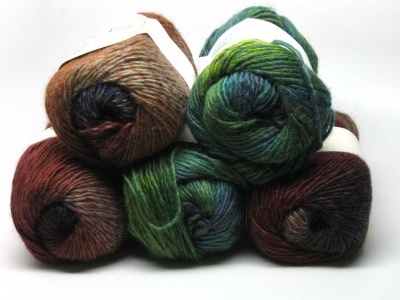 Our contrast colorway for Kit A is called Spring, a blend of light blues and greens, with more blues than greens. Think of a scene on a beautiful spring day with the sky clear, a lake calm and the beginnings of leaves and shoots. 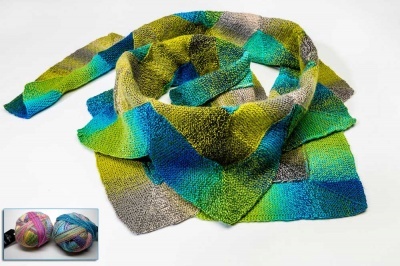 And our contrast colorway for Kit B is a similar color but with darker hues: named Reef, this again has greens and blues but decidedly deeper --- and more greens than blues. Here is the deep tones of the ocean, seaweeds and perhaps turbulent waters. 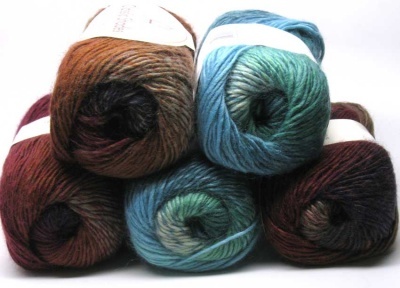 Each kit will include three skeins of the Sapphire and two of either Spring or Reef, depending on your choice. 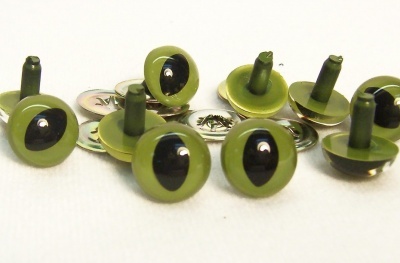 And should you wish to, you can add a pair of reptilian safety eyes in either green or aqua to your order. Remember! 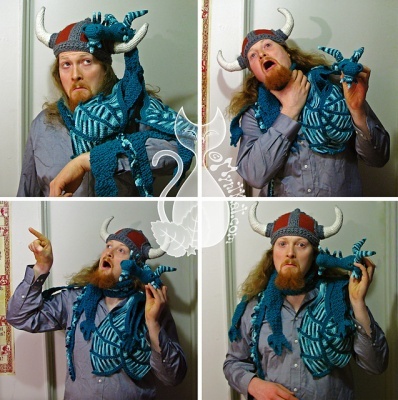 You must must must get the pattern from MyntKat's Ravelry page here.